FlyingFiber’s FBT spliitter utilizes precision technology to combine or distribute light from single/multiple inputs to single/multiple outputs bi-directionally. 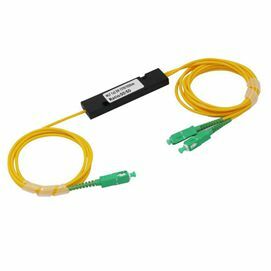 They are designed for power splitting and tapping in telecommunication equipment, CATV network, and test equipment. FlyingFiber can provide customized FBT splitters in a variety of styles, sizes, port configurations, split values, and wavelength specifications, allowing a high degree of fle*ibility in tailoring the product to suit your precise requirements and application.